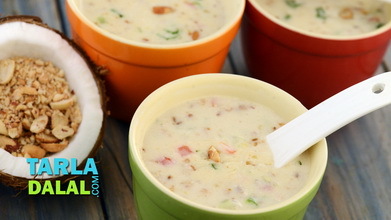 A kadhi made with roasted peanut powder and fresh curds, thickened with rajgira flour instead of besan. 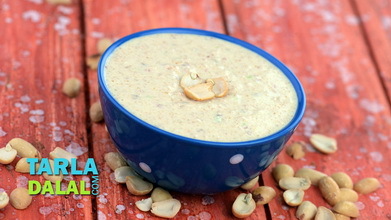 The Peanut Kadhi has been carefully formulated to avoid items that cannot be had on fasting days. 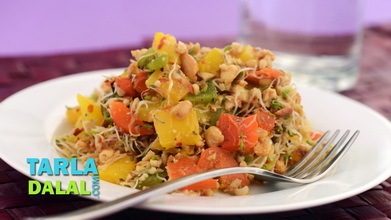 This faraal recipe is a tasty treat that you can have on janmashtami, during navaratri, or any other day for that matter. 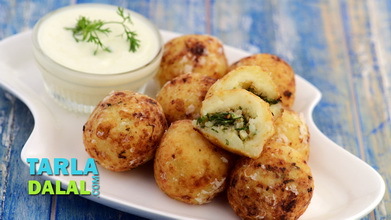 Combine the curds, rajgira flour and 2 cups of water in a deep bowl and whisk well. Keep aside. 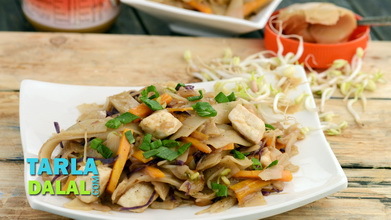 When the seeds crackle, add the ginger–green chilli paste and sauté on a medium flame for 30 seconds. Add the peanut powder and sauté on a medium flame for another 30 seconds. 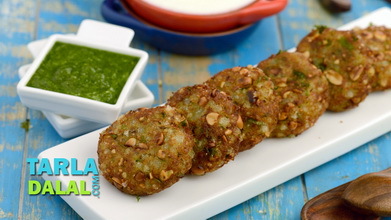 Add the curds- rajgira flour mixture, rock salt and sugar, mix well and cook on a slow flame for 4 to 5 minutes, while stirring continuously to avoid any lump formation. 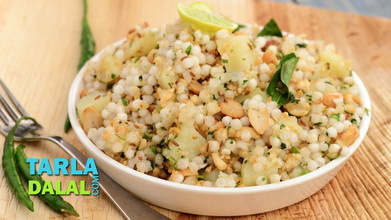 Garnish with coriander and serve hot with rajgira paratha or sabudana khichdi.